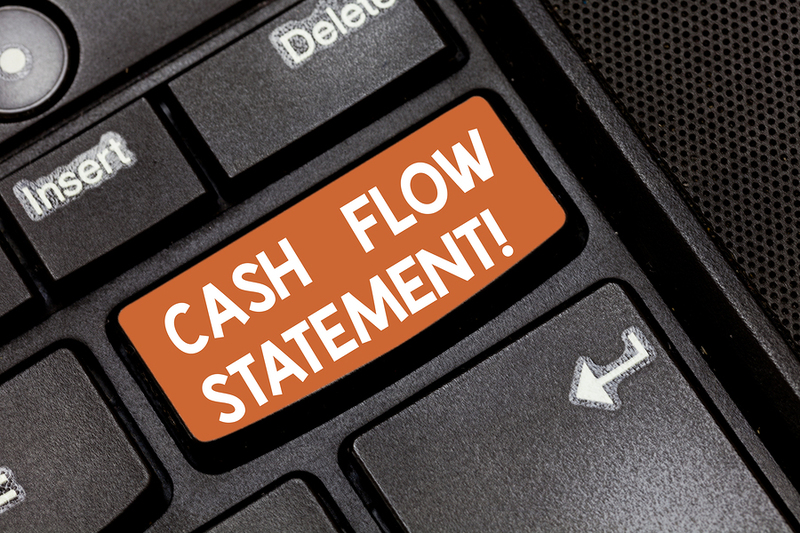 Home » What is a Cash Flow Statement and How to Make Sense of it? The cash flow statement is an important financial document for every private enterprise. Along with the balance sheet, income sheet and the income statement, the cash flow statement forms a troika of documents that represent the financial health of your enterprise. A cash flow statement is prepared for a given, predefined period. It can be generated monthly, quarterly and for the fiscal year ending. The statement provides aggregate data on the movement of cash in your enterprise during that period. While it is often used to determine the financial standing of a company, the cash flow statement may not reflect true changes in financial position under accrual accounting systems. Operating Activities: This head includes activities which are concerned with the daily running of a business, such as payments for inventory, cash from account receivables, etc. The operating activities are cash heavy in most cases. Nowadays, there are financial vehicles like invoice financing in the market which can help you raise cash quickly for this purpose. Investment Activities: These are capital expenditures which are long-term in nature, such as purchase of land, plant and machinery. Cash invested in these activities can have significant reflection in the balance sheet as it generally spurs asset acquisition. Financial Activities: These activities generally cover cash from issuance of a company’s bonds and stocks or spending on repurchase of such shares. Also, dividend payments are also counted as a financial activity when preparing cash flow statements. What Can You Learn from a Cash Flow Statement? In general accounting practices it is an accepted fact that all income and expenses, which are reported in the income statement, do not necessarily move cash in and out of the company. It is especially true for accrual accounting setups. That is the reason why investors give higher importance to the cash flow statement, as it offers a few different ways of analyzing a company’s financial health. Here we are listing the two most common functions served by a cash flow statement. Health of Business: A comparison of cash spends on operating activities with the net income of the company can tell you about the real-world performance of the company. It allows investors to know that how quickly the business pays its suppliers and gets paid by its customers. When cash generation from operating activities is greater than the net income, it means the business gets paid early by its customers. If earnings from operating activities are lower, then a business needs to take steps to ensure that the net income becomes cash. Determining Cash Needs: Analysis of cash flow statements also helps establish whether the company needs a cash infusion or not. When a company consistently generates more money than what it spends, it allows the owners to increase dividend payments, buy back stock and pay off debts. On the other hand, when a cash flow statement displays shortfalls, it means additional funding will be needed to continue operations. Invoice finance allows a small or medium business owner to raise cash by collateralizing the accounts receivables. Invoices with 30 to 180-day payment cycles are eligible for invoice finance and you can get finance up to ₹ 1 crore. Most invoices can be encashed for up to 80 percent of the billed value. Invoice discounting companies like LivFin even offer 100 percent payments for eligible partner accounts. So, that concludes our blog for explaining the use of cash flow statements. For more queries, contact us at care@livfin.com.